It is one thing to write of mortality, quite another to kiss its cheek. I am in the land of the fine again, but we all are dancing in the same shadow. My great grandfather was a bricklayer at a time when New York City, just a sail away, was laying a lot of bricks. He'd come to the States, ply his trade, then return to the island. 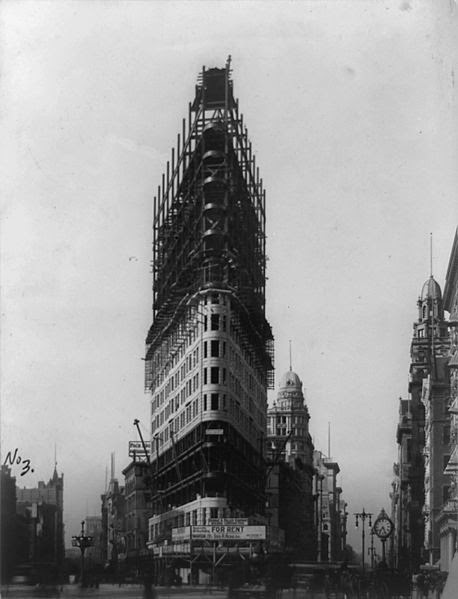 In New York City there are many magnificent buildings erected on the backs of those who traveled from home, because they had to, and I am sure many families in the area claim a particular building (or two) as their own. To whom does a garden belong? The gardener who digs into the rich bed of life, or the rich man who pays for his gardener's services? And so it is with the Flatiron Building in New York City. It is as much ours as anyone with a legal claim to the deed. I can only imagine the thoughts running through a man far younger than myself as he tumbled several stories to the street below in a city far from his home. I can only imagine the pain and fear as he was carted off to a hospital, at a time when no one expected a man to survive a fall like that. I do not have to imagine, though, that he prayed. I have little doubt that in his prayers, after, of course Jesus and Mary, he prayed to St. Stephen. 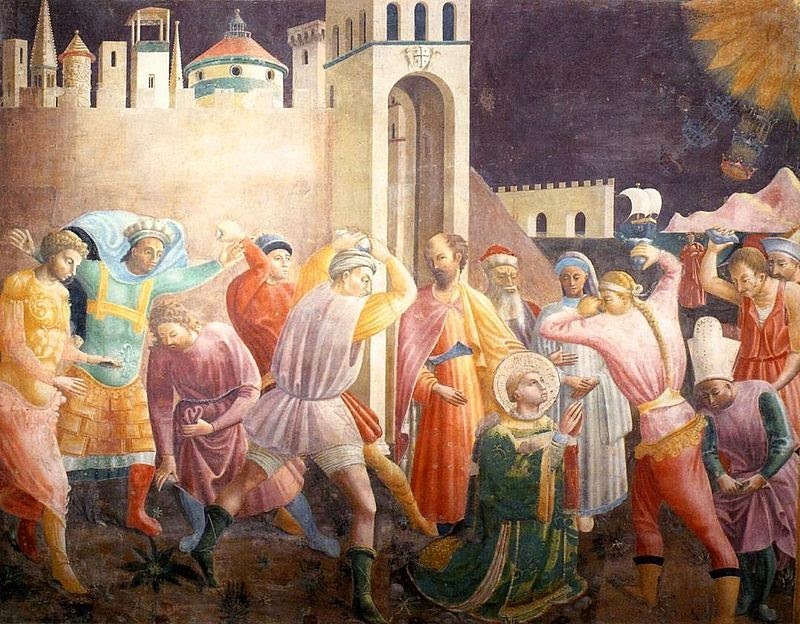 St. Stephen was stoned to death for a few reasons, but clearly he agitated those in power with his belief that "the most High dwells not in temples made with hands." He is the patron saint of bricklayers, which would be ironic in most cultures. We are here by the tenuous thread we call the Grace of God. Though our individual threads will break, we are all part of a larger, living tapestry. Spills, even bad ones, can end well. We revere the temples of learning at our peril. I will not be the same teacher.